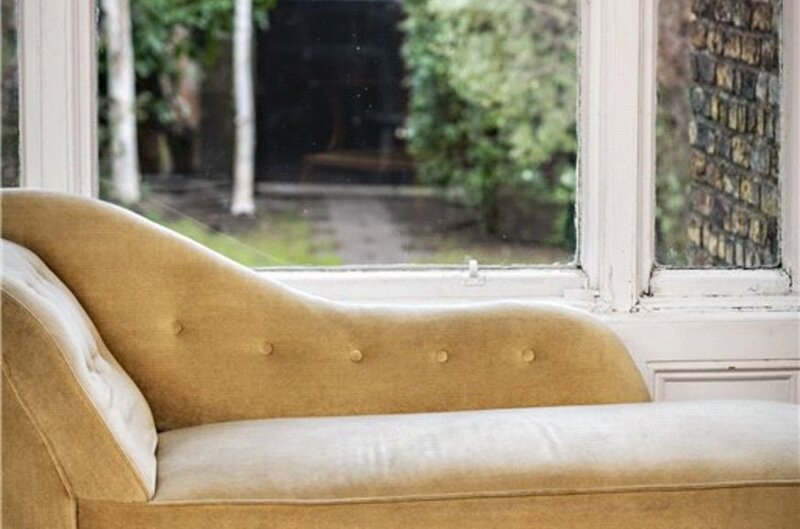 Attractively positioned red brick period property tucked away on the corner of the quiet south side of Belgrave Square. 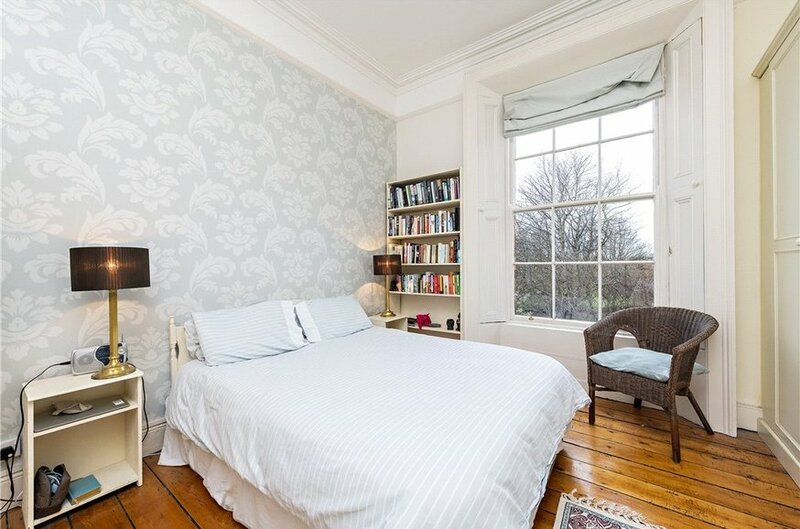 Delightful, peaceful aspect looking straight over Belgrave Square. 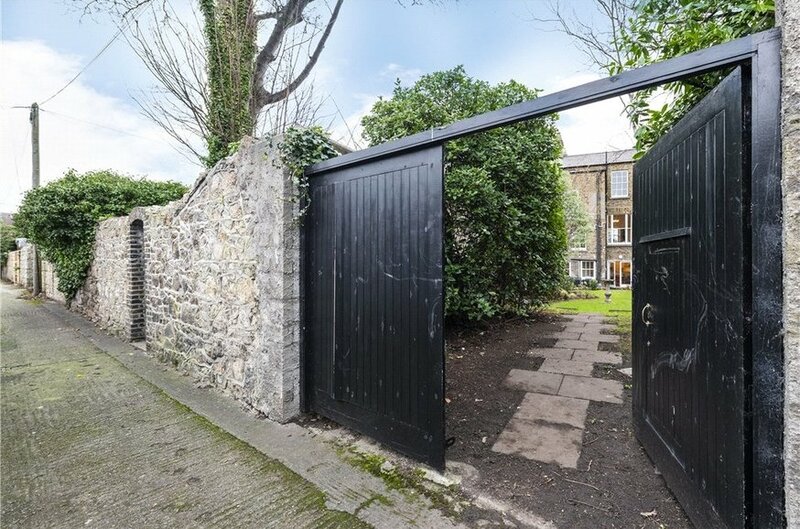 Generous, private south facing garden (approx.30m/99ft) with important vehicular rear access. 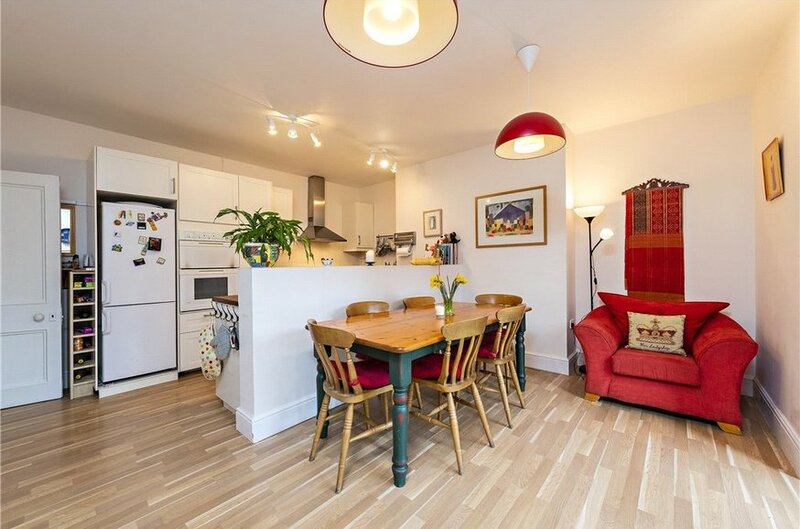 Well-proportioned accommodation with fine interconnecting reception rooms. 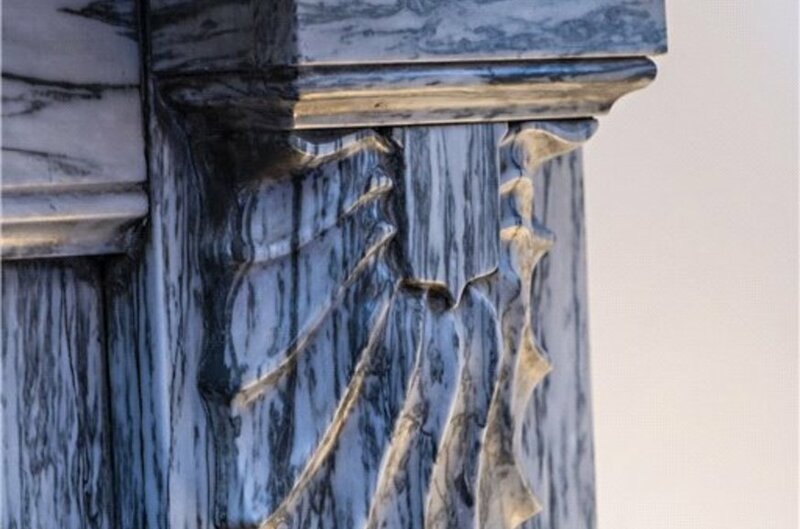 Many features of the era including detailed cornice work, centre roses, marble fireplaces and high ceilings. 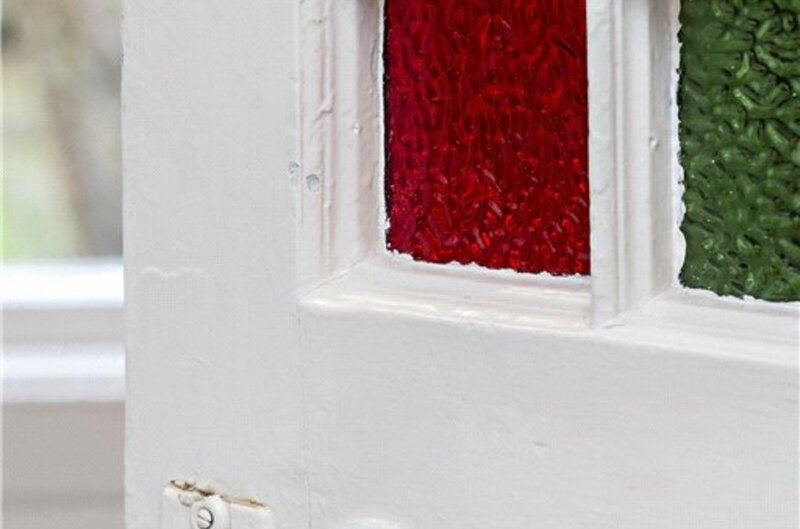 Separate access to garden level. Three zone gas fired central heating system. 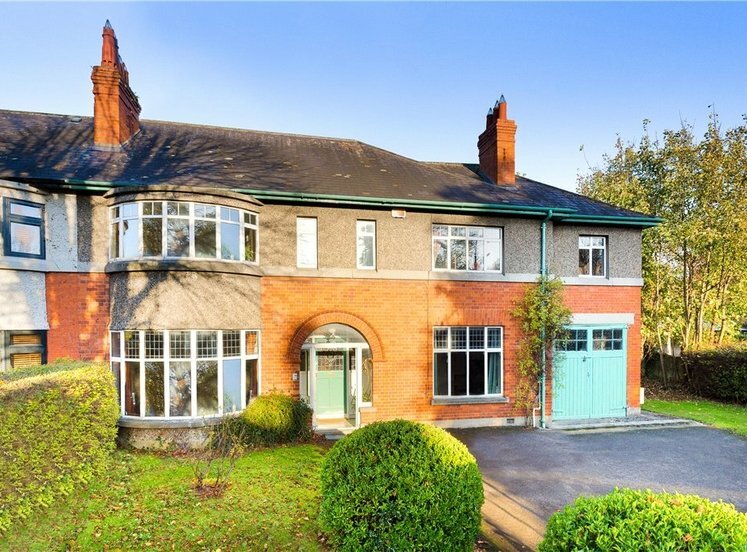 Highly convenient location a short walk to both Rathmines and Rathgar villages on the Luas. 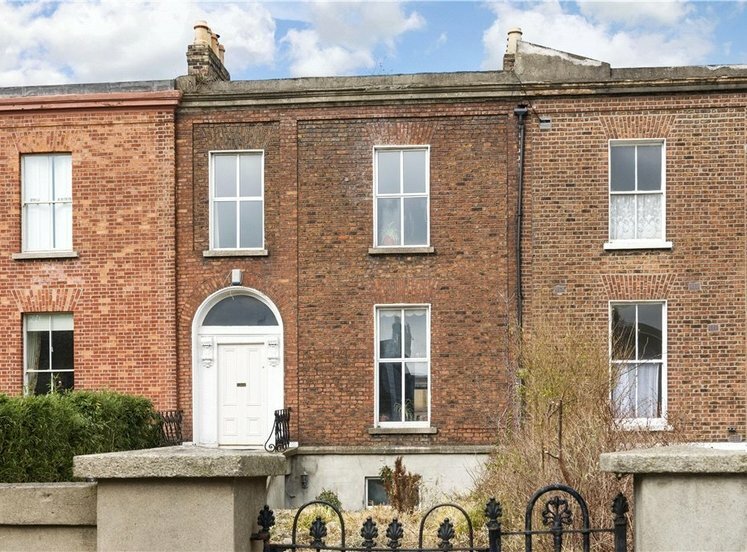 A rare opportunity to acquire a sought-after, redbrick period home on the southern and tranquil side of this favoured square, which enjoys a highly convenient location, a short walk to both Rathmines and Ranelagh villages and the Luas. 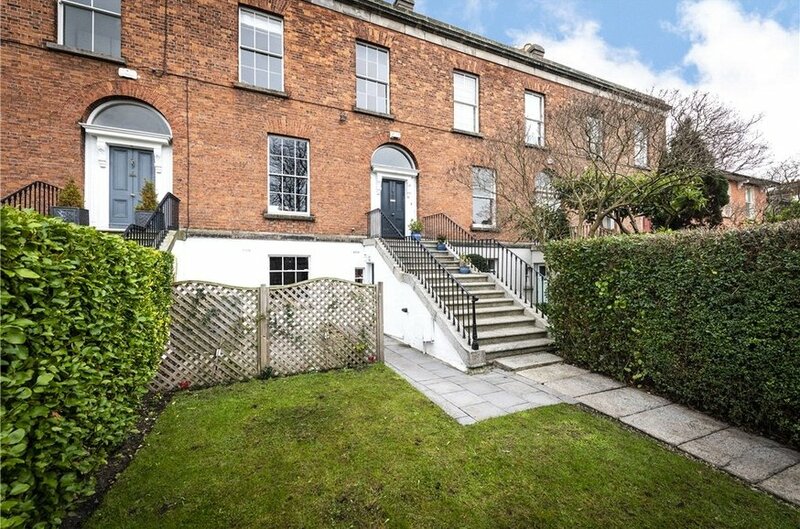 It is 25 years since a terraced property has come up for public sale on the southern side of this favoured square. 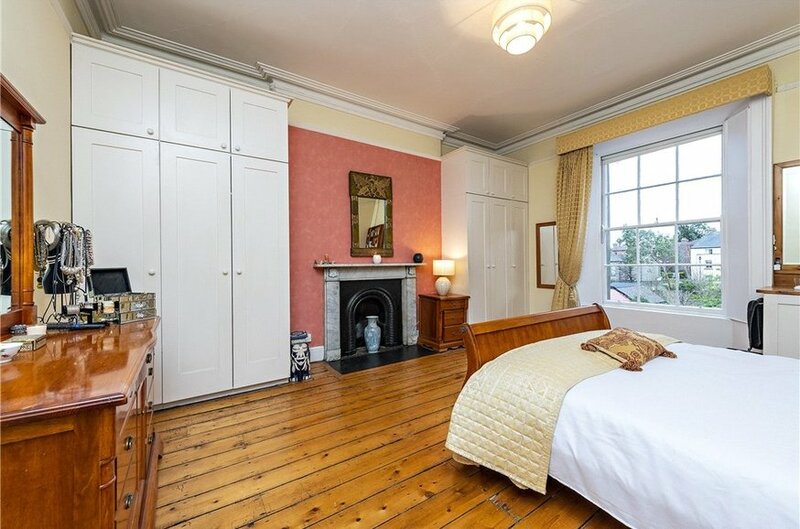 No 25 enjoys a most appealing aspect looking straight down delightful Belgrave Square, providing a tranquil aspect in this highly convenient near city centre location and is further enhanced by a generous approximately 30m/99ft south facing rear garden with important vehicular rear access. 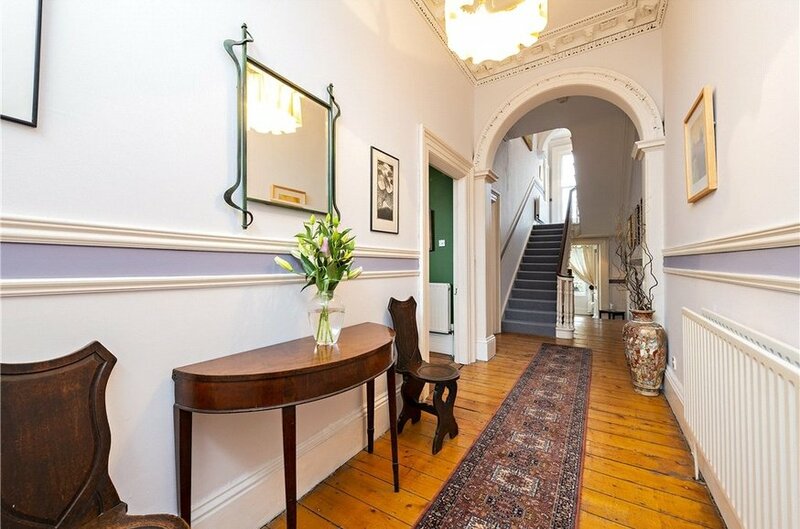 The generous accommodation with many period details of the era including intricate cornice work, centre roses, approximately 11ft high ceilings and fine interconnecting reception rooms with impressive marble fireplaces extends to approximately 238 sqm./2,561 sq.ft. 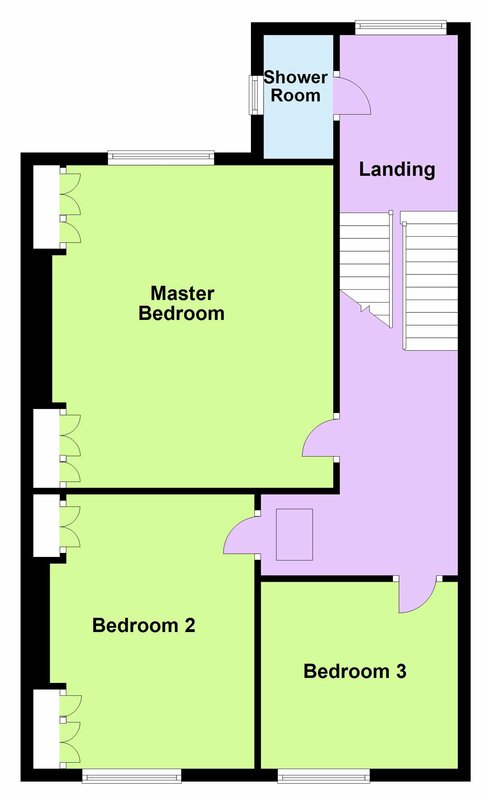 and briefly comprises: living room/bedroom 4, kitchen/breakfast room opening to the south facing patio, utility room and storeroom/pantry. 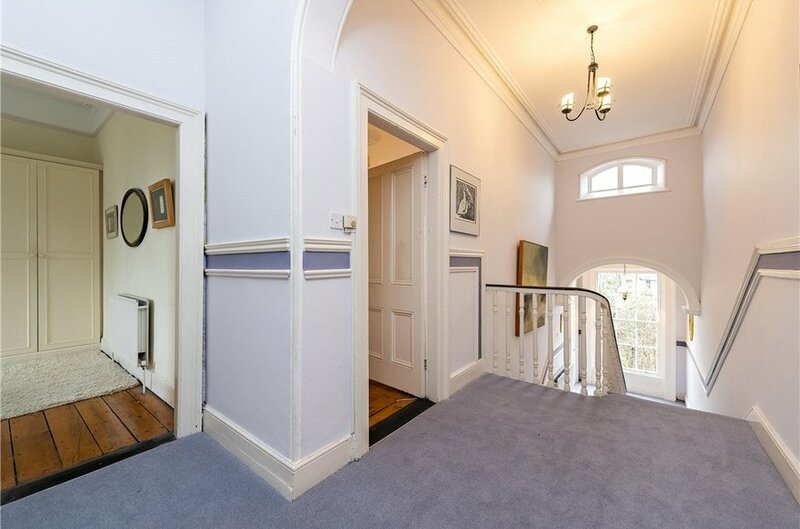 Upstairs there are two fine interconnecting reception rooms, with delightful views over Belgrave Square to the front and the south facing garden to the rear. 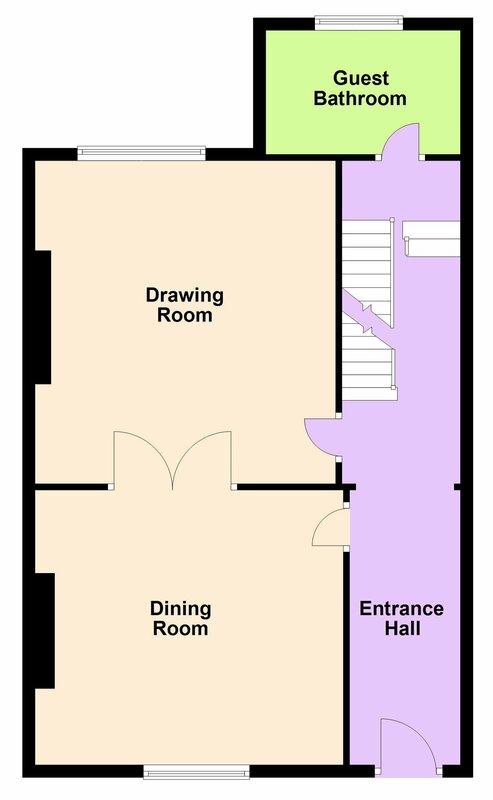 Bathrooms on both returns and three further bedrooms complete the accommodation. 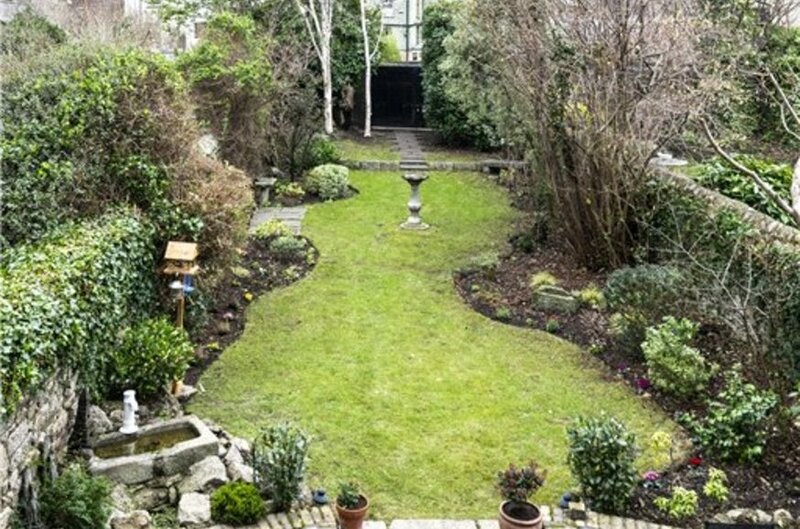 The south facing rear garden (approx. 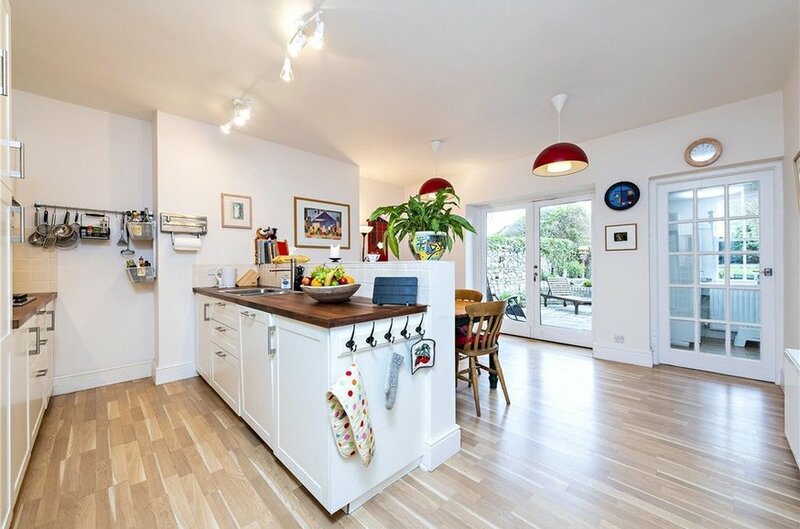 30m/99ft) with important vehicular and pedestrian rear access is a particular feature of this fine family home and many in the neighbourhood have used the space to install a garage, office or ‘tiny home’’ at the very back. 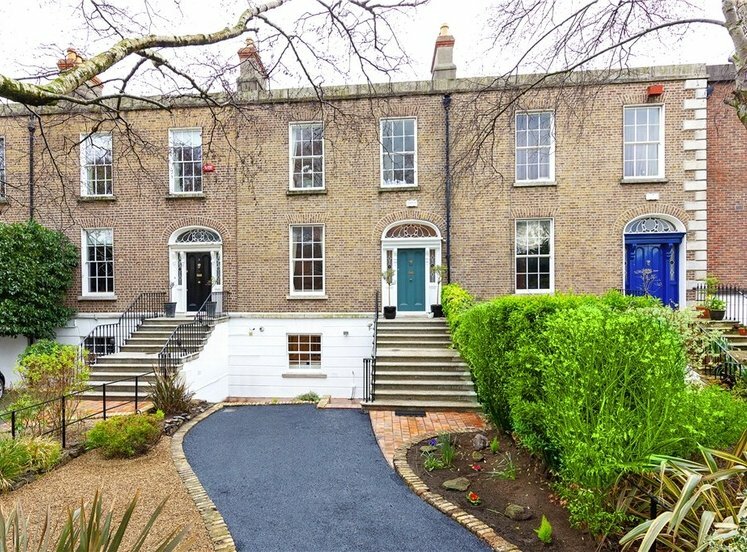 Belgrave Square is a highly desirable and convenient area within a short walk of Rathmines and Ranelagh villages. Both are much sought-after and with good reason. 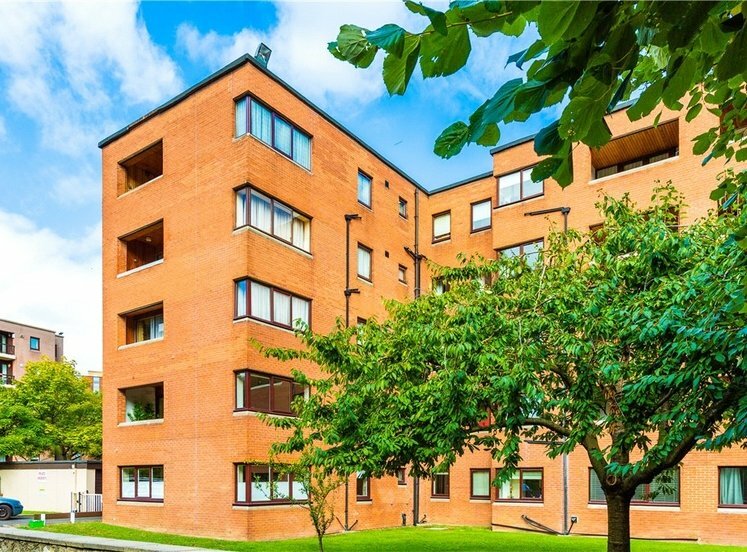 They enjoy an abundance of superb restaurants, public houses and shopping amenities including Fallon & Byrne and Elephant & Castle in the newly refurbished Swan Centre, SuperValu, Lidl, Aldi, Dunnes, Tesco as well as renowned Morton’s and ‘foodie’s’ favourite, the Italian Shop. Other amenities are the restored 1913 Rathmines Public Library, the recently opened Stella Cinemas in both Renalagh and Rathmines, the expanded 9 screen Omniplex Rathmines Cinema and a multitude of sports facilities including the Leinster Tennis & Cricket Club, Brookfield Tennis Club and the Swan Swimming Pool & Leisure Centre. 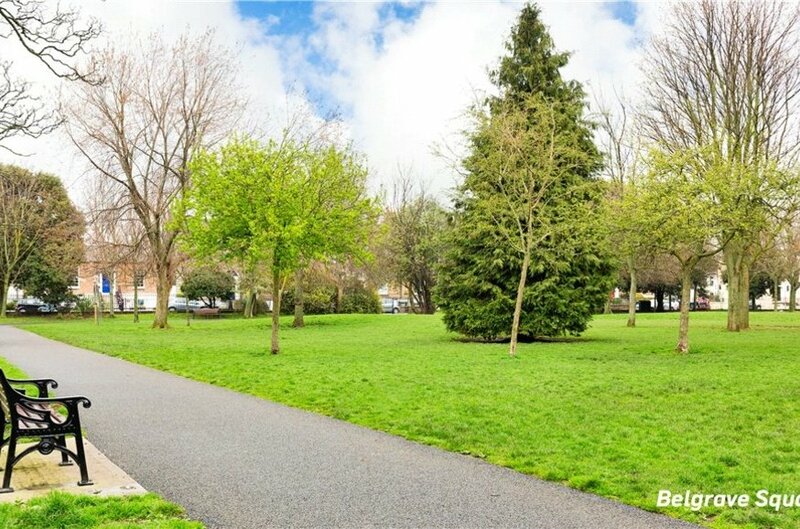 Belgrave Square itself is an attractive leafy public park with a mixture of walking, games and childrens’ playground. Palmerston Park is a 10-minute walk. 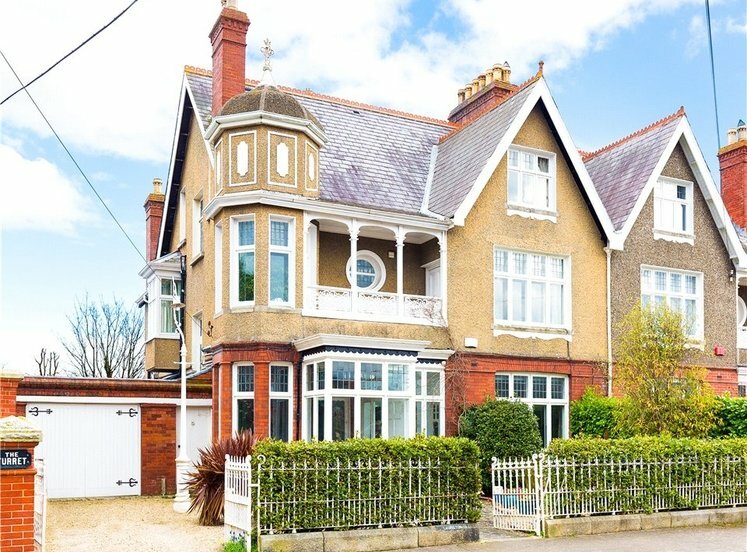 Some of Dublin's most valued primary and secondary schools are in the vicinity: St. Mary's, Gonzaga, Muckross Park, Sandford Park, Alexandra College, Scoil Bhride, Ranelagh Multi-Denominational School, Kildare Place. St Louis and The High School. 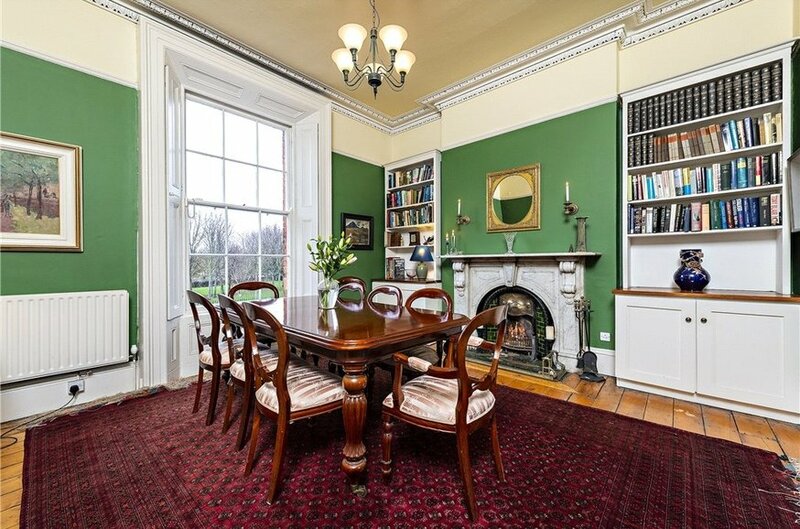 While offering quiet enjoyment in a leafy setting, Belgrave Square is within easy distance of everything Dublin has to offer. 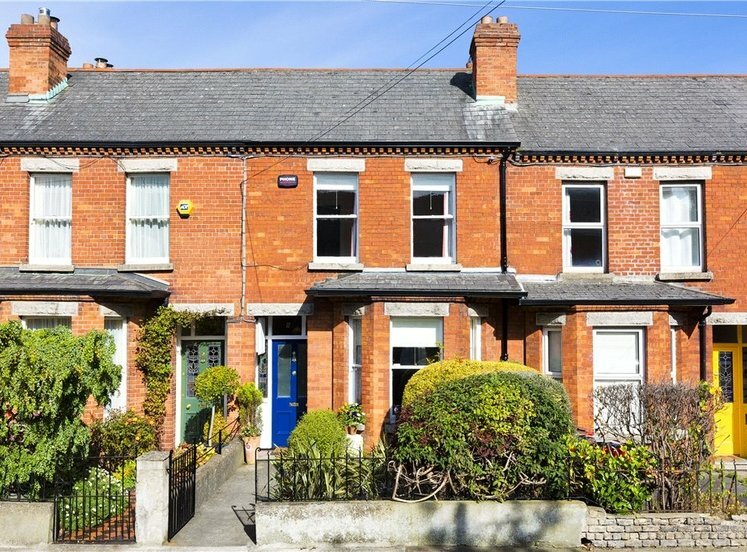 It is well served by public transport: Rathmines offers multiple bus lines into town and the Luas in Ranelagh is a 5-minute walk away. 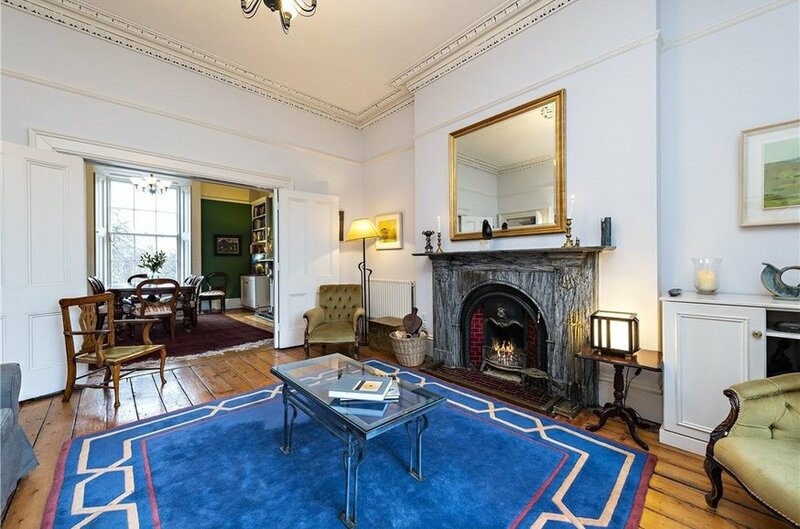 It is a pleasant 25-minute walk via the canal to reach St. Stephen's Green and Dublin's primary business, financial and shopping districts. 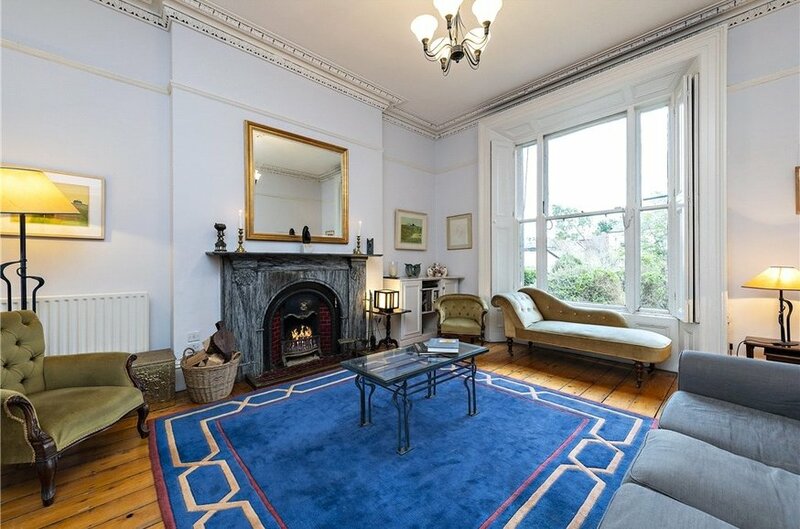 with impressive marble fireplace, tiled inset, tiled hearth, continuation of the varnished timber floorboards, picture window overlooking south facing rear garden, timber sash window with working shutters. 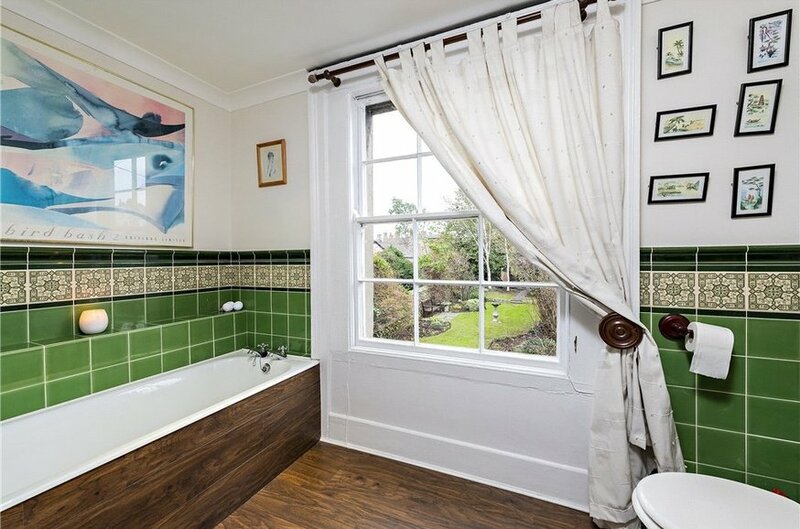 comprising bath, w.c., pedestal wash hand basin, part tiled walls. comprising corner step-in tiled Myra electric shower, w.c., wash hand basin, partly tiled walls, stained timber floors and is easily converted into a single ‘wet bathroom’. 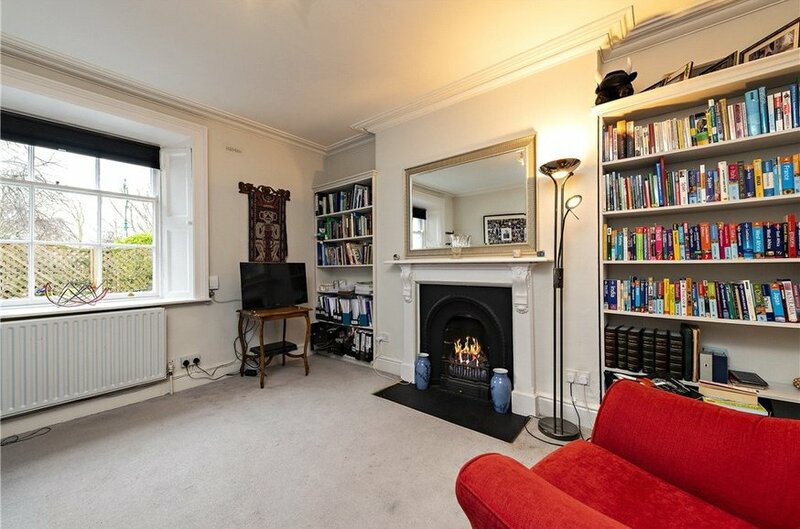 including built in wardrobes either side of the chimney breast, fire place with marble surround, cast iron inset, slate hearth, varnished timber floorboards, vanity unit in corner with presses underneath. 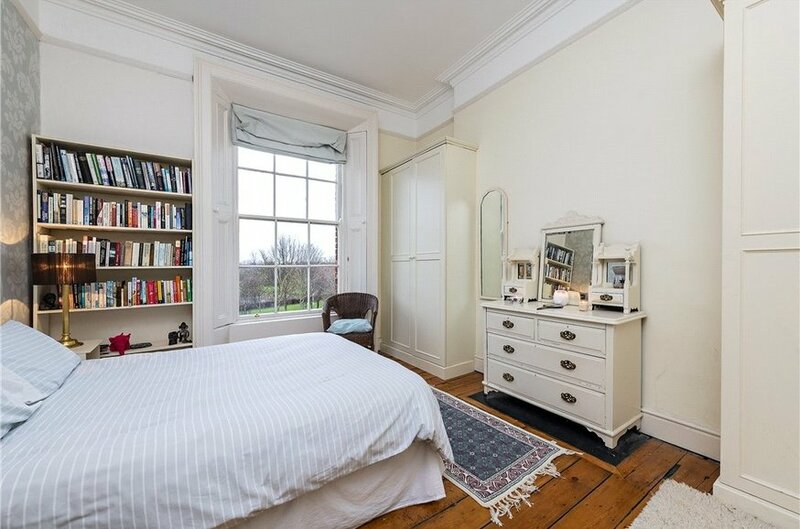 including built in wardrobes, working sash windows with shutters. 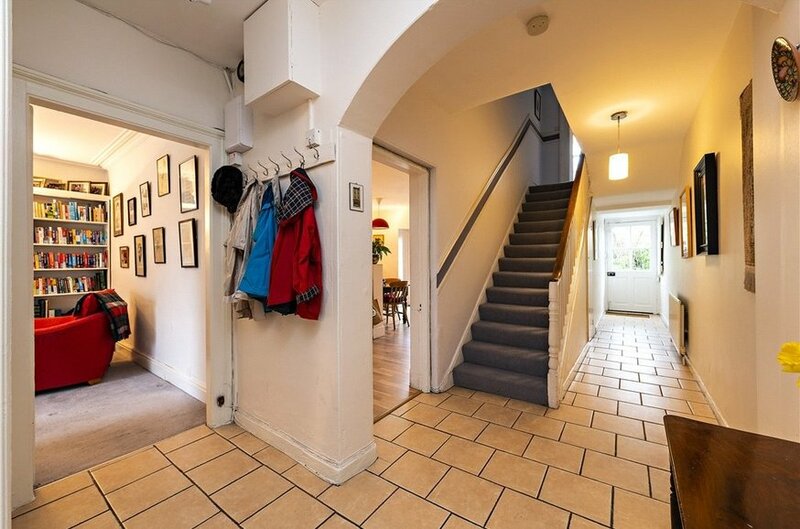 door to under stairs storage & tiled floor. worktop with one bowl stainless steel sink drainer unit, presses underneath, plumbed for a washing machine. fireplace with cast iron surround, cast iron inset, slate hearth. The front garden is railed and hedged, lawn area, flowerbeds with shrubs and bushes and large patio. 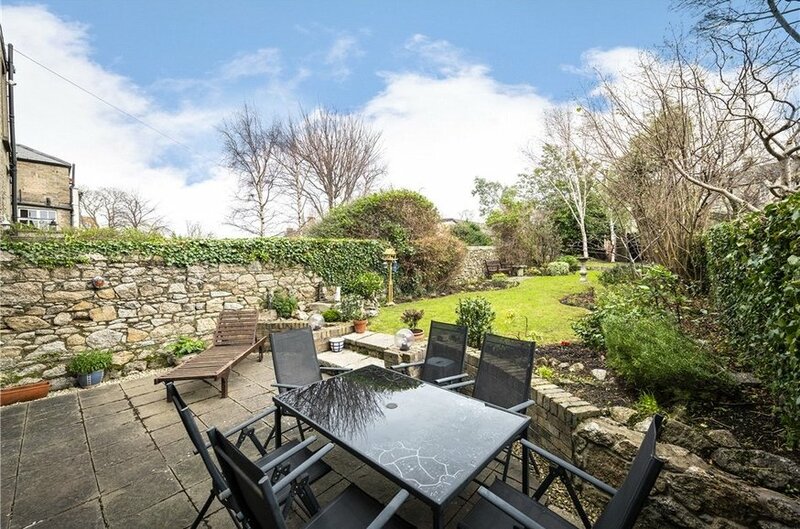 As previously mentioned the attractive, private south facing garden is particular feature of this fine home, and extends in total to approx. 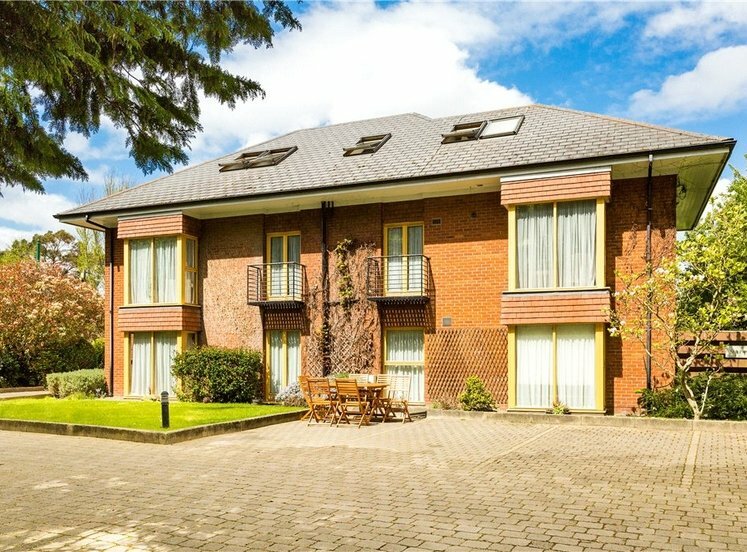 30m/99ft, with generous patio approx. 7m (23ft) with raised flower bed and a feature granite pond. 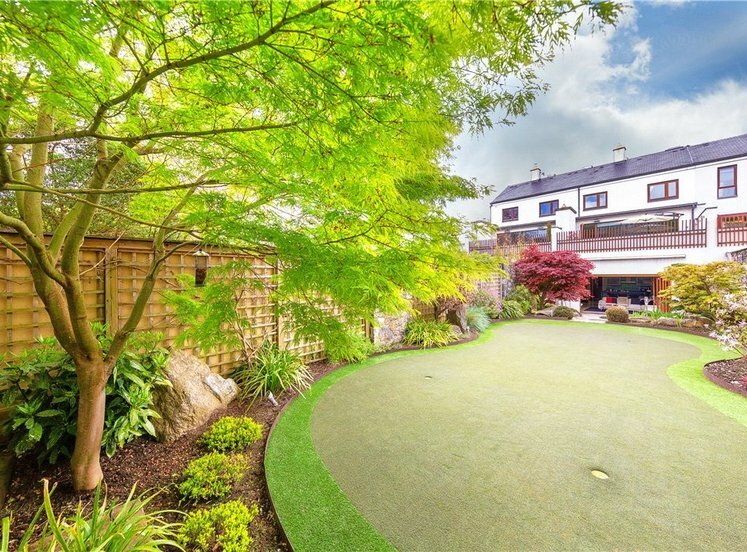 The garden is largely laid out in lawn bordered by flowerbeds, mature shrubs, bushes, plants and trees. Barna shed, and vehicle rear access.